The Malladi Brothers – Sri. Malladi Sreerama Prasad and Sri. Malladi Ravikumar, were conferred the sixth Indira Sivasailam Endowment Medal and citation at an impressive ceremony prior to the sixth annual Indira Sivasailam Endowment Concert. The Malladi Brothers rendered the concert at Chennai’s most celebrated institution for Carnatic music, The Music Academy, Madras, in front of a packed audience of Carnatic music lovers. This annual Indira Sivasailam Endowment Concert has come to mark the Navaratri season in Chennai. The award instituted by Smt. Mallika Srinivasan, in association with The Music Academy, Madras, as a tribute to her mother, the Late Smt. Indira Sivasailam, recognizes Carnatic musicians on the basis of clearly defined parameters. The recipient is chosen by an eminent jury constituted by The Music Academy, Madras, and Smt. Mallika Srinivasan. This year the award was conferred upon The Malladi Brothers for their continued excellence in performance, audience appeal, adherence to classical tradition while innovating within its framework, depth of knowledge and demonstrated efforts to disseminate knowledge and the ability to bring about a greater and deeper public appreciation of Carnatic music. The award ceremony was followed by a rousing concert by The Malladi Brothers. The Indira Sivasailam Foundation has been contributing towards perpetuating and promoting our rich culture and tradition and preserving and propagating various art forms. The foundation was established by Smt. Mallika Srinivasan, Chairman and CEO, TAFE Limited, in the year 2010, in memory of her mother, the Late Smt. Indira Sivasailam. The foundation is constantly involved in activities such as care and welfare of senior citizens, women’s empowerment, Hindu philosophy, Sanskrit literature and ‘annadana’. 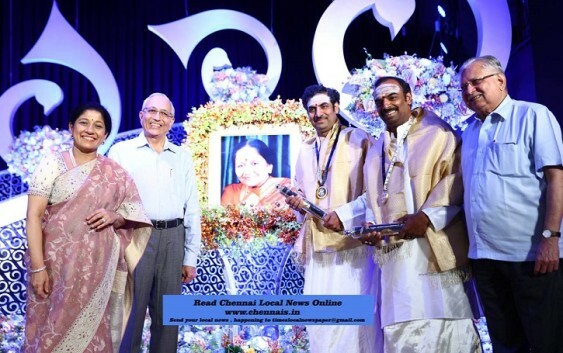 Through the Indira Sivasailam Endowment Fund, under the auspices of The Music Academy, Madras, the foundation organizes The Indira Sivasailam Endowment Concert during the Navaratri season every year, recognizing an outstanding Carnatic musician with The Indira Sivasailam Endowment Medal and citation. 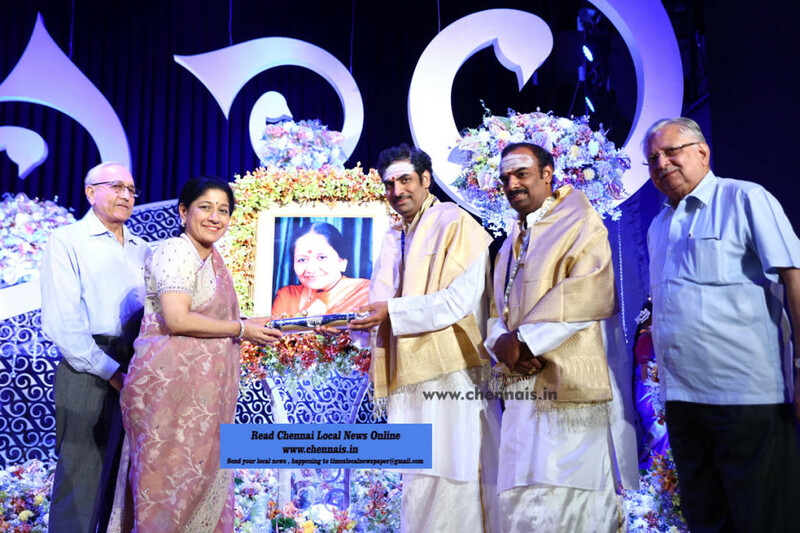 Since 2010, renowned and coveted Carnatic musicians like Smt. Sudha Ragunathan, Sri. Sanjay Subrahmanyan, Smt. Aruna Sairam, Smt. Bombay Jayashri Ramnath and Sri. T. M. Krishna have been conferred this honor. With the noble aim of promulgating South Indian classical music, the foundation ensures that the concert is open to all, without any fee. The Music Academy’s roots can be traced back to the 1920s, when a group of music lovers united to propagate and promote classical music by establishing an academy in Madras city, marking the inception of the Music Academy of Madras. Over the years the academy thrived to become a venerable center for artists, musicians and rasikas of the world to nurture the art and music. The Music Academy’s sole aim of promoting and perpetuating music and culture has played a key role in fostering Carnatic music in the country and abroad. The Academy’s burgeoning library houses new books, apart from preservation of rare books and manuscripts. The Academy’s awards and recognitions are regarded as an honor to artists at every stage of their musical journey, as to them, an academy performance in itself is a sublime dream and a sense of high achievement.